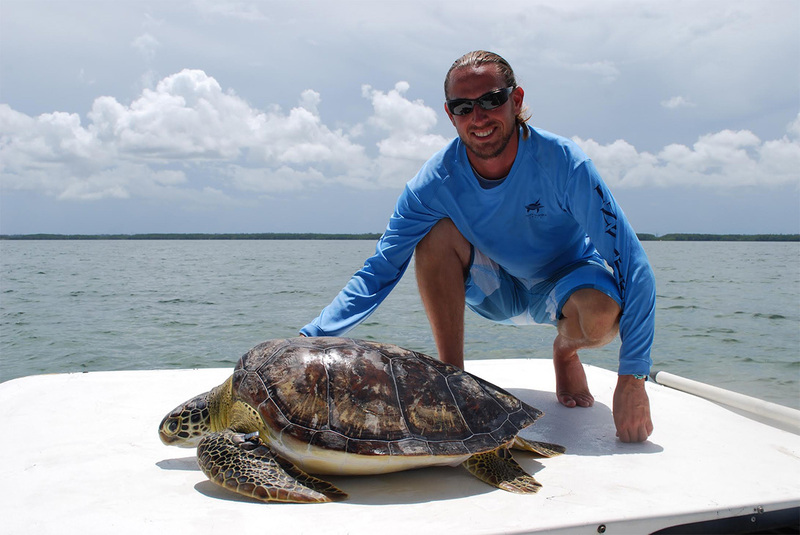 ﻿ Florida Hawksbill Project Partners with Inwater Research Group, Inc.
Florida’s nearshore waters are home to thousands of marine species that, collectively, play an important role in the health and well-being of Florida’s ecological and economic future. Among the diverse assemblages of marine organisms that thrive there, several species of marine turtle also reside among the shallow waters of Florida’s bays and estuaries. Encompassing Biscayne Bay and its offshore barrier reefs, Biscayne National Park (BNP) is located just south of Miami, Florida, USA. 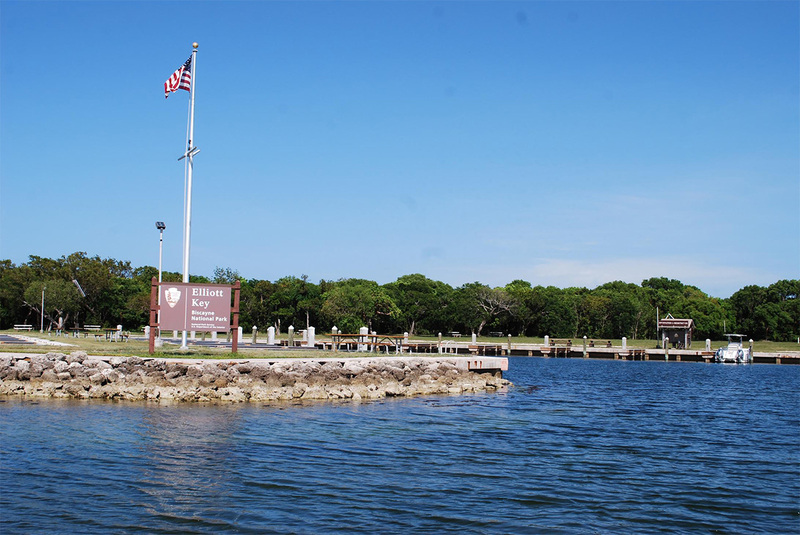 Mostly under water, the Park provides refuge to 16 endangered or threatened marine species including potentially significant numbers of green, loggerhead, and hawksbill sea turtles. Despite it’s proximity to the busy Miami metropolitan area and its known suitability as sea turtle foraging habitat, there has been surprisingly little effort to study the sea turtle populations found in the Park. 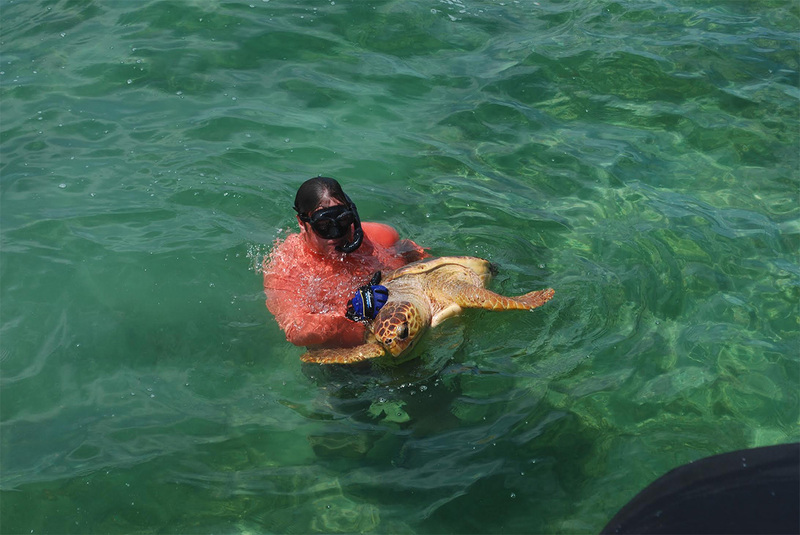 The Florida Hawksbill Project at the National Save The Sea Turtle Foundation are partnering with the Inwater research Group, Inc. to undertake the first detailed study of threatened and endangered sea turtles within BNP waters. The resulting data will provide a long-awaited baseline of sea turtle abundance and distribution in this important and biologically productive part of Florida’s coastline. The first trip to the Park in June was a success. Thanks to the National Park Service, our team members were housed at Elliot Key, giving us immediate access to the Bay each morning. The team surveyed among the barrier mangrove islands, the nearshore reefs, and within the Bay itself. Though more turtles were observed in some areas than others, enough data were collected to begin estimating the relative abundance of sea turtle species and age groups in the Park. Depending on our location, juvenile green turtles were most likely to be encountered, followed by sub-adult greens and loggerheads. No hawksbills were positively identified, but that’s understandable given the habitat types we surveyed. Return trips are planned to continue this important work.